Rosalyn Richards received her BFA from the Rhode Island School of Design and MFA from Yale University School of Art. Her work is represented in many museum and university gallery collections including the Art Institute of Chicago, the Hood Museum of Dartmouth College, Yale University Art Gallery, Minneapolis Institute of Art, the Ackland Art Museum of the University of North Carolina, the Samek Art Museum of Bucknell University, Guangdong Museum of Contemporary Art in China, Purdue University Galleries, and Vanderbilt University Fine Arts Gallery, among others. She has held artist residencies at numerous locations in the United States including Virginia Center for Creative Arts and Ragdale in Illinois. She was a visiting artist and critic at Colby College, Cornell University, the University of Dallas, Tianjin Academy of Fine Arts in China, and the University of Nebraska in Lincoln. Rosalyn Richards’s work has been included in numerous national and international exhibitions, including solo exhibitions at Anchor Graphics in Chicago, Artemisia Gallery in Chicago, The Print Center in Philadelphia, Anita Shapolsky Gallery in New York, and Village Gallery in Hauz Khas Village in New Delhi, India. In 2009 her drawings were exhibited at The Tianjin Academy of Fine Arts Museum in Tianjin, China where she was also a guest lecturer. Recently her prints were included in “Multiple Encounters Second Edition”, at The National Academy of Fine Art in New Delhi, India. 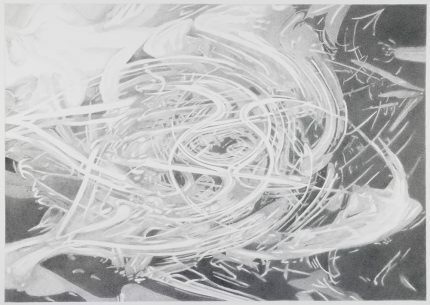 From 1982 – 2014 Richards taught drawing and printmaking at Bucknell University in Lewisburg, Pennsylvania. Copyright © 2018 Rosalyn Richards. All rights reserved.